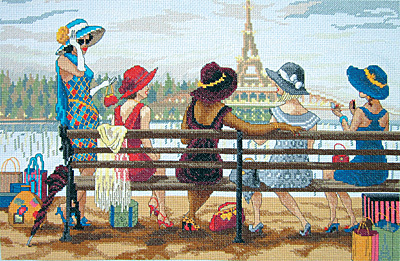 5 lovely ladies resting after a day of shopping while being watched over by the Eiffel Tower in Paris. A lovely landscape with stunning colors and chic design. Finished size: 10" x 16"